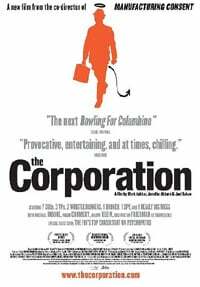 The award winning Canadian documentary 'The Corporation' has been released on BitTorrent for free. Filmmaker Mark Achbar just released an updated "official" torrent of it. Everyone is free to download, watch, discuss, and share it. The Corporation received more than 20 awards, including an audience award at the the prestigious Sundance Film Festival. The Film gives insight into the inner workings of large and powerful corporations, and how these affect our society.